While EMV Smart Chips may sound like the tasty new snack of the week, they’re actually a teeny-tiny microprocessor embedded in newer credit and debit cards. And they represent something of an infinitely greater value to both you and your customers – to the tune of $14 billion! That’s the amount of global payment card fraud that occurred in 2013. This type of fraud is on the rise, and apparently, becoming increasingly inescapable. With mega-retailers like Target, Home Depot, and now possibly even Staples on the evolving list of breaches, millions of cardholders and their respective merchants have been affected. But EMV Chips, also known as Europay, MasterCard and Visa Chips, have the ability to create a stopping block in the aftermath of breaches. Here’s how they can do that and why you should be clamoring to get your hands on this groundbreaking technology. Since the data on the stripe stays constant, once an identity thief has access, they can use it over and over again for fraudulent purchases. Luckily, EMV-enabled payment cards work completely differently. In circulation in other countries since 1992, these cards utilize Dynamic Data Authentication (DDA). Essentially, a unique code is created for each transaction, and that code can’t be duplicated for any other purchase. So while the chip itself won’t prevent a data breach, it will help mitigate monetary losses on the back-end. And it can’t come to the US fast enough. Payment card fraud has doubled in the past seven years, peaking in 2013, when the US accounted for more than half of the world’s $14 billion in credit card fraud. With traditional credit cards, the card issuer or payment processor is on the hook for reimbursing consumers when fraudulent transactions occur. So you may think the same would hold true if an EMV chip-enabled card is compromised. But beginning October 1, 2015, the four major US credit card companies – MasterCard, Visa, Discover, and American Express – plan to transfer the bulk of that liability elsewhere. In other words, this is an opportunity for you to get ahead of the curveball that’s coming. By upgrading to a more secure payment card terminal and tightening up card acceptance policies, you’ll be protecting your business, customers, and bottom line. Otherwise, the liability for unauthorized charges could very well land squarely on your shoulders. Both Visa and MasterCard have introduced incentive programs that may benefit you as well. Visa’s Technology Innovation Program (TIP) permits you to skip the annual data security compliance requirement, so long as at least 75% of your transactions originated from chip-enabled terminals. MasterCard has a nearly identical program, called PCI-DSS Compliance Validation Exemption. And there’s one more unexpected boost to look forward to when you transition to EMV technology – a better reputation among consumers. In a study by the Ponemon Institute, in which 700 consumers were surveyed about their feelings on data breaches, it was noted that a brand’s reputation takes quite a hit after a breach. And consumers’ fears about becoming an identity theft victim increased after a breach too. It stands to reason that if you’re proactive in seeking fraud deterrent systems, which include EMV technology, consumers may be more confident in doing business with you. Along the same lines, NOT upgrading your policies and equipment could potentially damage your reputation. Migrating to EMV terminals can be done seamlessly, especially if you work with a knowledgeable merchant account provider. Begin the process ASAP. 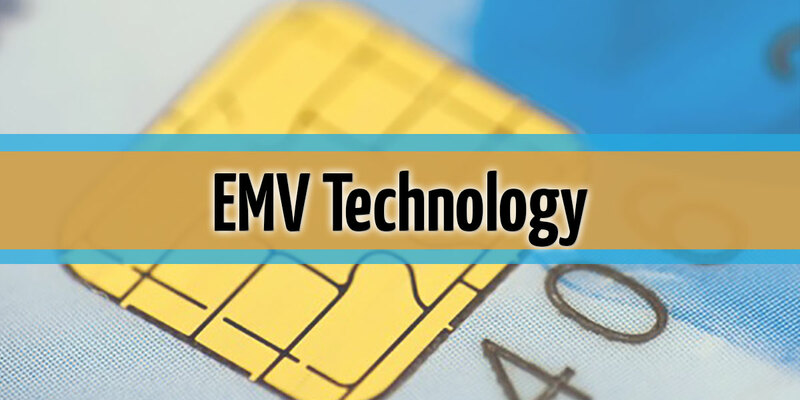 While this technology is still new to the US, banks and credit card companies around the globe have been issuing EMV-embedded cards for decades. Consumers are becoming more concerned about fraud and identity protection and will expect the same from you. Choose a compatible terminal. More EMV-capable terminals are entering the marketplace now that the migration to chip technology has officially begun. 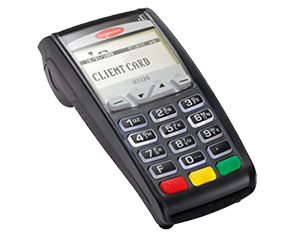 But two models that show promise are the Ingenico iCT250 and the Verifone VX520. Both offer time and money saving benefits for you and your customers. Implement training programs for employees. It’s critical that you fully understand the migration process, and also pass that information along to each employee. Different checkout procedures will need to be followed and you’ll want to make the transition as easy on the consumer as possible. Take time to educate consumers. Even though EMV technology is gaining ground in the US, many consumers are still unaware of how the new process will work. That is, until their credit card company sends them a new card and they’re trying to use it at your store for the first time. Remember to be patient and explain how, and more importantly, why their experience will be different now. Still have more questions about EMV Smart Chips?